As part of its restructuring, the administration function and handling of dry goods were transferred from Bünting's online DC in Oldenburg to its warehouse in Nortmoor. German grocery retailer Bünting has completed restructuring and staff reductions, Chairman Markus Buntz told Lebensmittel Zeitung in an interview. He said the organisation has now become faster and more efficient. Over the last two years, the company went through a phase of strict reorganisation. This included the merger of the management functions of the Combi and Famila banners and the divestment of consumer electronics chain Telepoint. The buying department has been separated from logistics and merged with category management. When Markus Buntz spoke to Lebensmittel Zeitung, one of the most interesting statements was that he intends to see Mytime writing black figures in the foreseeable future. This is a bold plan, considering that profitability is still out of reach for practically all German online grocery shops. Actually, only a short time ago pushing this specific banner did not seem to be among the top priorities for the retailer. Mytime has been a pioneer in the field and the first sizeable operation to provide nationwide delivery of perishable groceries in Germany. However, at a time when the launch of Amazon Fresh began to shake up the online grocery market, and when even players like Kaufland became nervous enough to launch a web shop, Mytime seemed to step back. 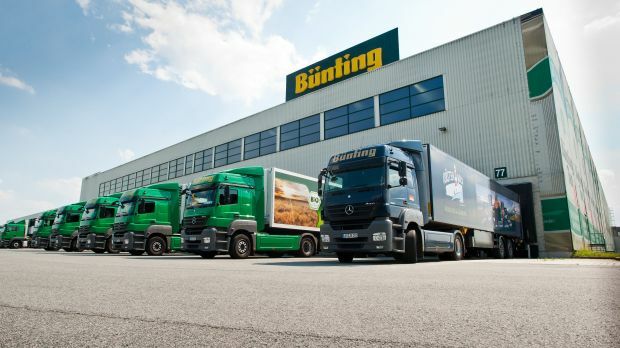 Bünting closed its online distribution centre for groceries and cut 70 jobs. The delivery of fresh items and its administration function were transferred to its Nortmoor location. The retailer assigned an external service provider to handle ambient goods. Shortly after these changes and following the departure of several more managers, the head of the Mytime operation left the company. Bünting was not arming for a potential online battle – it seemed. But by taking steps to focus on the efficiency of its backend operations the retailer may have found an even better way to succeed, rather than rushing into a market characterised by intensified competition. Lately we have seen Kaufland postponing further expansion of its web shop, Rewe refocusing on the cost structure of its online ventures and we still await Amazon Fresh's arrival in Munich. Now could be the perfect time for Mytime to edge its way back forwards, now that the tides have become lower.